Between the alleys of the city of Jerusalem lies a mysterious and wonderful place. Behind the library lies this special place, the Gatsby pub. From the entrance you will begin to experience a unique experience, and you will go back in time to the merry twenties and you will reach the underground of the finest cocktails in the city, with the promise that everyone will find what he loves. The Gatsby is a 1920s retro bar offering a wide variety of cocktails and jazz music playing in the background. 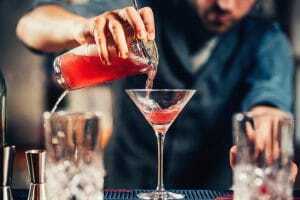 The place’s bartenders are known to choose the right cocktail for each client, and although the Gatsby specialty lies in cocktails, the place has a selection of beers and various dinners.